Cilantro (scientific name: coriandrum sativum), is a popular Mediterranean herb used to add savor the flavor of most of the dishes. Like most of the herbs for culinary use, cilantro is also known for its health-promoting properties. 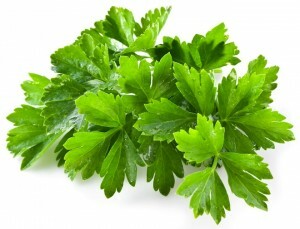 Cilantro grows one to two feet and its leaves resemble that of the parsley. This herb needs full exposure to the son and an average well-drained garden soil. Cilantro can grow easily from the seed but has a short useful garden life. 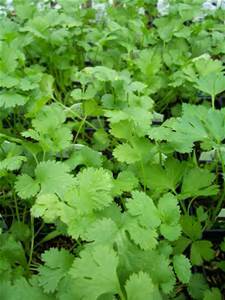 It takes 3-4 weeks successive sowing of cilantro for a continuous supply of its fresh leaves. It can reach 5-7 feet tall. Cilantro’s flower is called coriander. Cilantro is low in calories and no cholesterol. Reduces LDL or bad cholesterol in the blood level. Contains a good amount of antioxidant polyphenolic flavonoids (quercetin, kaempferol, rhamnetin,and epigenin) and dietary fiber. Contains essential volatile oils asborneol, linalool, cineole, cymene, terpineol, dipentene, phellandrene, pinene, and terpinolene. Vitamins content: folic-acid, riboflavin, niacin, vitamin-A, beta carotene, vitamin-C.
Minerals content: potassium, calcium, manganese, iron, and magnesium. Cilantro is a good source of vitamin K that helps promote osteotrophic activity in the bones. And can also help to slow down Alzheimer’s disease by liiting neuronal damage in the brain.